Several thousand people gathered in the Tunisian capital of Tunis on Saturday to protest the Egyptian army’s overthrow of former Islamist president Mohamed Morsi. 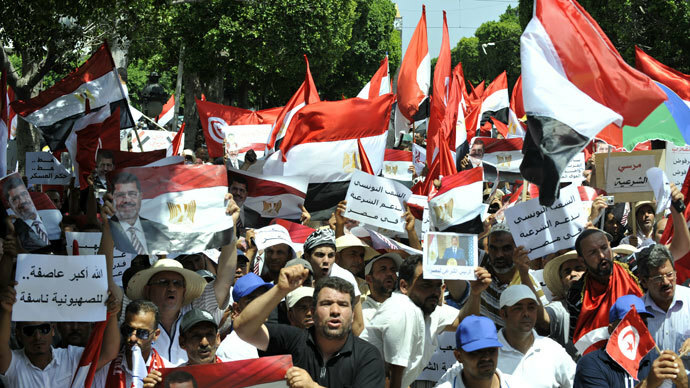 Demonstrators waved Tunisian and Egyptian flags while shouting anti-military slogans. 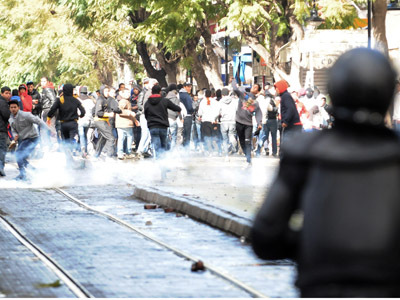 Both Tunisia and Egypt saw long-standing autocratic regimes toppled in the Arab Spring uprisings of 2011. Speakers at the Tunisian rally shouted slogans denouncing Egyptian General Abdel Fattah al-Sisi, who issued the military’s ultimatum to the Muslim Brotherhood. Protesters could be heard yelling “Down with military power!” and “No to the force of arms, yes to the ballot box!” during the demonstration. They also poured scorn on Egypt’s Tamarod movement, which means 'rebellion' in Arabic. The movement’s mobilization of anti-Brotherhood protesters was an important factor in Morsi’s eventual downfall. 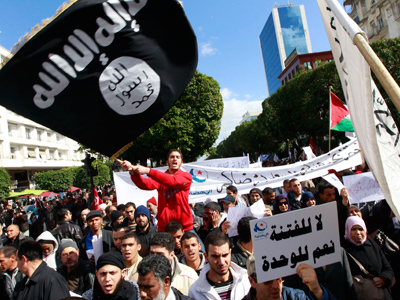 “This military coup was inspired by outside parties and aims to overthrow Arab Spring Islamist governments. It a war against Islam,” said 42-year-old protester Salem Achour, as quoted by Al Arabiya. One of the speakers at the rally directly addressed Morsi’s supporters in Cairo. 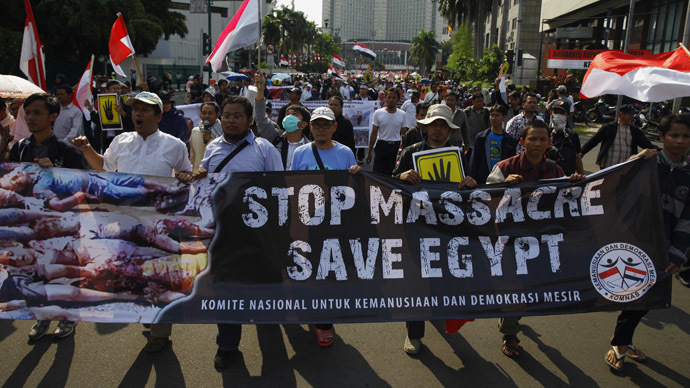 “We call on our Egyptian brothers at Rabaa al-Adawiya [mosque] to stand firm until victory,” the speaker shouted. 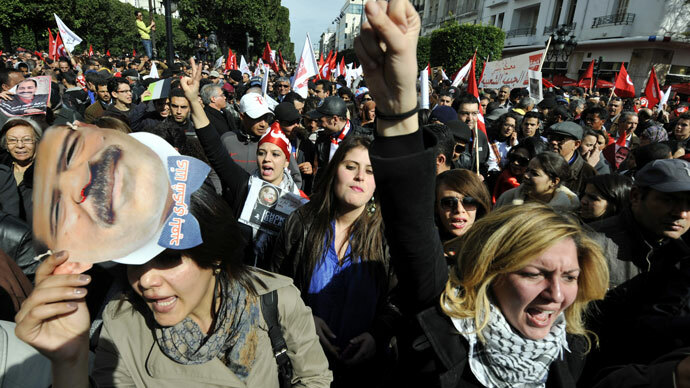 The protest was organized by Tunisia’s ruling Islamist Ennahda party after last week’s requests for pro-Morsi demonstrations were rejected. 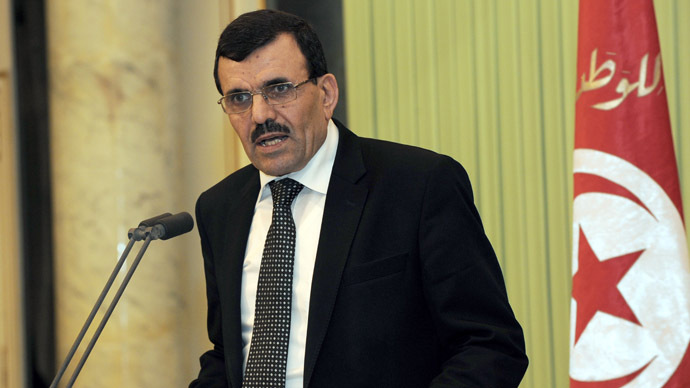 One day after the coup that ousted Morsi, the opposition Nidaa Tounes party demanded the departure of the ruling Islamists in Tunisia, calling for a government of national unity. Tunisian President Moncef Marzouki has ruled out a repeat of the events that toppled Morsi, but has stressed the need to pay attention to popular demands. Earlier Saturday, Egypt announced a criminal investigation against Morsi and other members of the Muslim Brotherhood amid complaints of spying, inciting violence, and ruining the economy. The prosecutor’s office said in statement that eight other Brotherhood members - including Supreme Guide Mohamed Badie - were being investigated. Announcement of the move was considered unusual, as prosecutors typically wait until charges are filed before making them public.